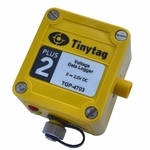 Help and support for Tinytag Instrumentation data loggers, including FAQs, datasheets and technical documents. The Plus Re-Ed range records voltage, current and count inputs and can be connected to a variety of sensors to make specialist data loggers for a wide range of applications. Please select your logger model from the list below.